My news feed this morning is flooded with photos of little cuties on their first day of school! 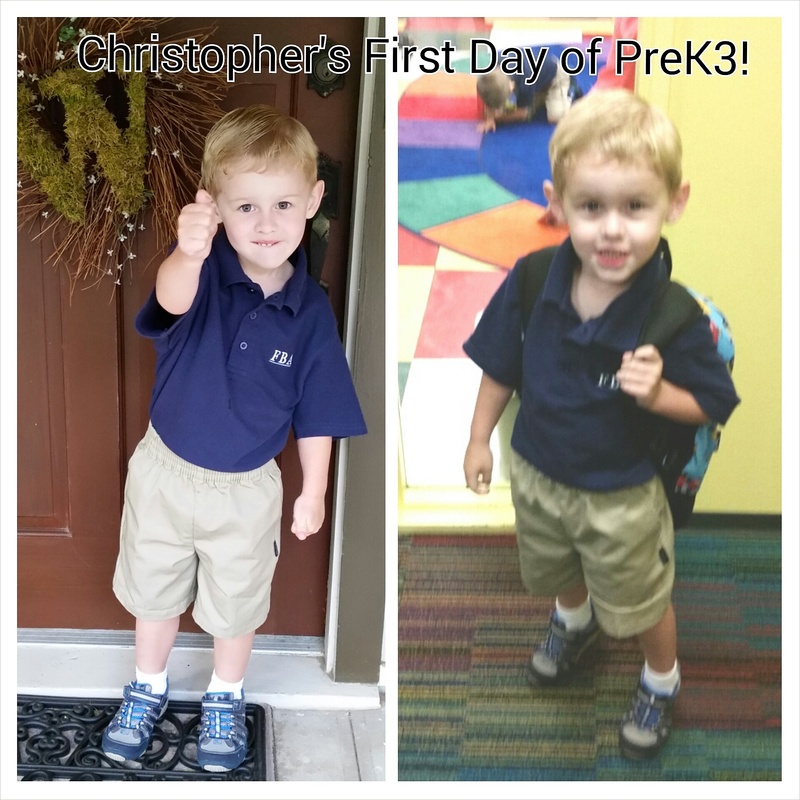 Which reminded me, I have not posted Christopher’s First day pic here on the blog. Christopher started at his new school last Wednesday. My baby is in PreK3 this year! Also last week, I had an hour or so to kill between client meetings and I just so happened to be in the area near two of my favorite thrift stores, The Blue Bird Circle and The Guild Shop. 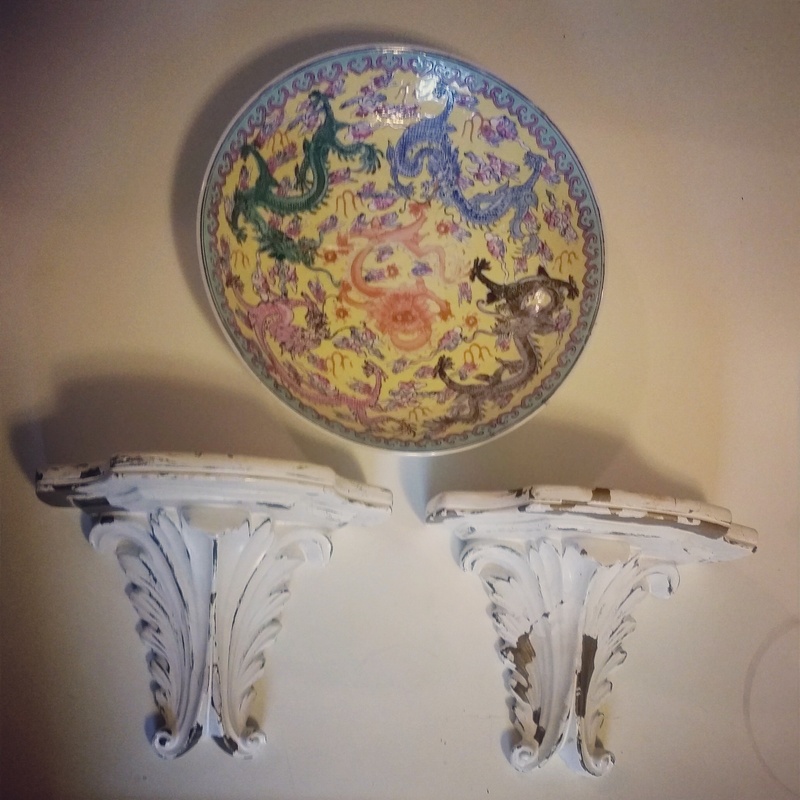 (Another great spot is the Charity Guild of Catholic Women) I was specifically looking for a pair of wall shelves to go on either side of my framed marble paper in our dining room. I had no luck at The Blue Bird Circle. Although, as luck would have it, I found a fantastic pair at The Guild Shop! 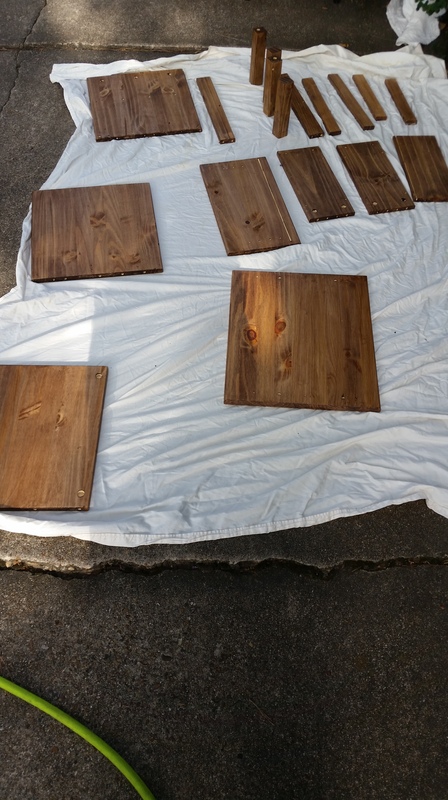 These are the perfect size and style, but I was not sure about the finish at first (an easy fix). 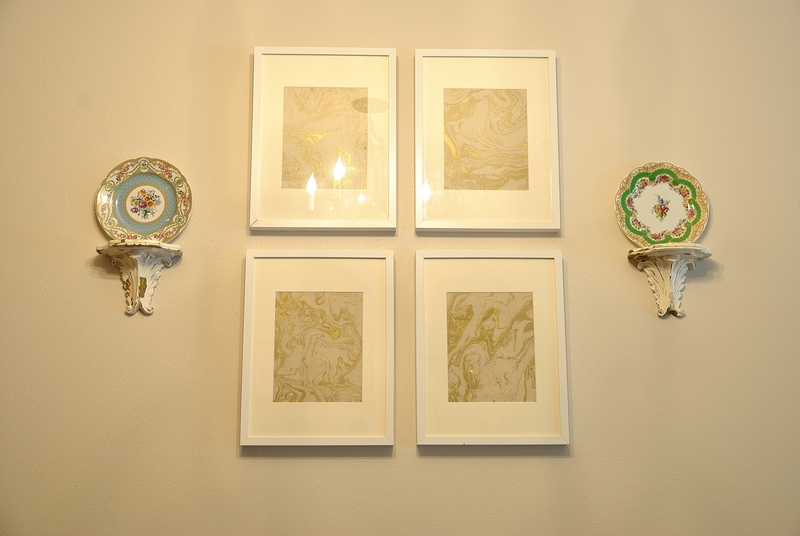 After hanging them, I think I like them just as they are. The plate shown in the photo above was also a Guild Shop find. I had to go through each stack in their dish room to find this little beauty, but I happen to think she was well worth the sweat equity! Naturally, since the two plates above vacated the bookshelves, I had to rearrange them… again. Thankfully, my poor hubs was at a work dinner. The man probably thinks I’m a bookcase nut case (pun intended)… Oh, well! Hopefully, the bazillionth time is the charm. I always leave the bookshelves alone for a few days after moving things. Just to make sure how I really feel. So far we are on day 5 and no changes… We may have a winner! I’ll try to share this week if I still love it. How did you wrap up the end of summer? I’m loving that my new work schedule is allowing a little more time for me to work on my blogging. Hope to be back again this week with more goodies!